This one's a keeper. 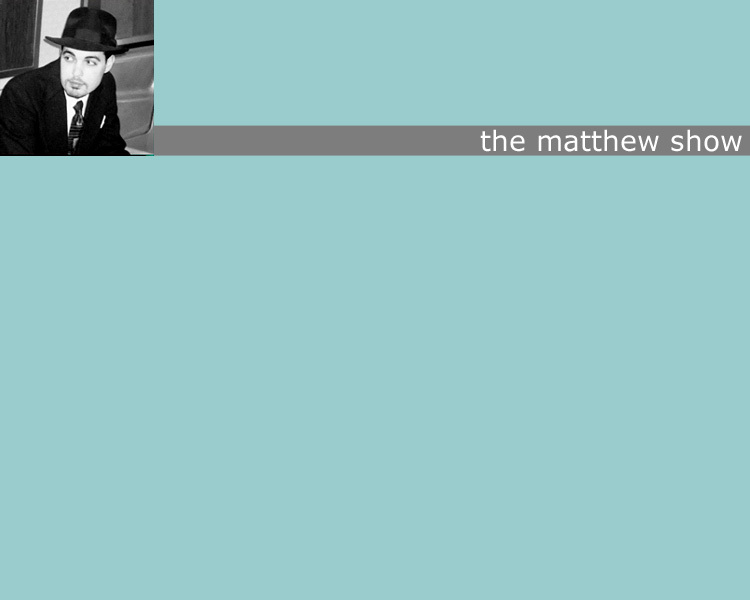 A collection of rueful reflections on life's sad parade, the matthew show's texas is the musical equivalent of watching traffic go by your window on a rainy day and wondering where all those people could be going. Some of the songs are simply beautiful (Bring Me Safely Down and Union Station), some are weird and adventurous (Office Suite, Part 1 and The Loneliest Boy In Toyland) and at least one is only worth listening to once (that would be Office Suite, Part 2 which really should have been left off the record). Despite it's obvious sense of playfulness, this is a serious, heartfelt collection of songs.